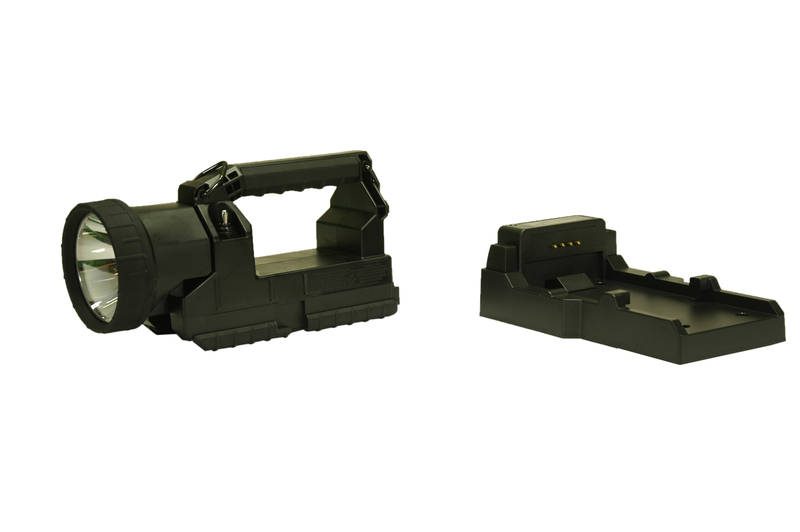 The RUL-9-Intl Tactical Light is Class 1 Division 2 and Class 2 Division 2 approved and provides 5 hours of runtime on a single charge. A high output halogen bulb, versatile charging options, lithium ion batteries, and articulating head are only a few of this lights` features. The durability and power of this tactical design make it ideal for applications including emergency services, law enforcement, utility work, hazardous locations and more. 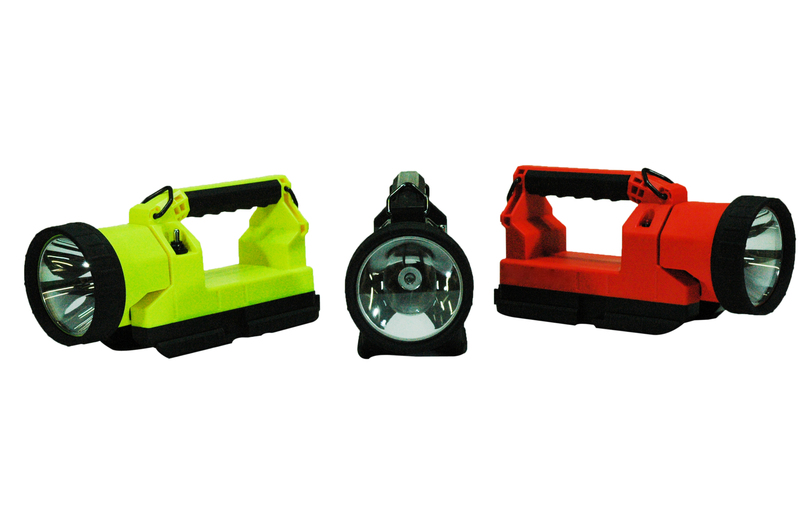 This portable hazardous area light is rechargeable and produces 1107 Lux at 25 feet, which puts it on par with the Powerlight 24 watt HID flashlight. This lightweight unit weighs only 2 pounds and is powered by lithium ion batteries that require no special charging procedures and have no charge memory issues. Using the latest lithium ion battery technology allows this unit to be recharged regardless of current charge levels, so there is no need to fully discharge the light before recharging. The battery will hold its charge for 18 months, even when on the shelf. However, the smart charging technology enables the operator to leave the light on the docking station indefinitely. 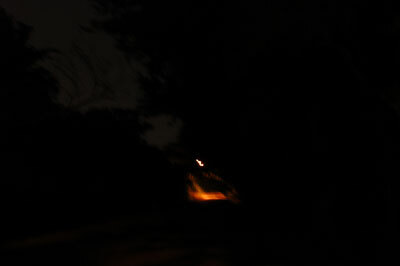 Road lit by street light The Rul-10-FR illuminating the road 500 feet away. Included is an LED battery status indicator light. The battery status indicator activates when there is 30 minutes of light remaining. This feature compliments the lithium ion technology by monitoring battery status, allowing the user to effectively manage their time. The lithium ion battery pack in this unit also helps this unit a achieve a 33% lighter weight than its competitors, an important consideration for firefighters whose basic equipment can already weigh 65-70 lbs. This light is waterproof to provide all weather durability and has an articulated head which allows the user to position the lamp head through 90 degrees of movement for the most convenient handling. The durable housing is constructed of impact resistant nylon and has a rubberized coating and ribbed handle for added durability and improved grip. The high output 12 watt lamp in this unit is combined with a high quality reflector to produce 246 lumens (120,000 candlepower) and provides a strong beam that is comparable to the output of more powerful and higher priced flashlights. This unit also includes a pair of flashing red and white leds located on the tail of the unit that can be used as warning or indicator lamps. Control of the RUL-9-Intl`s operating modes is via a three way toggle switch which allows the main light to be operated alone or in tandem with the flashing tail lights, producing an ideal emergency services or utility light that can serve in a wide variety of situations. 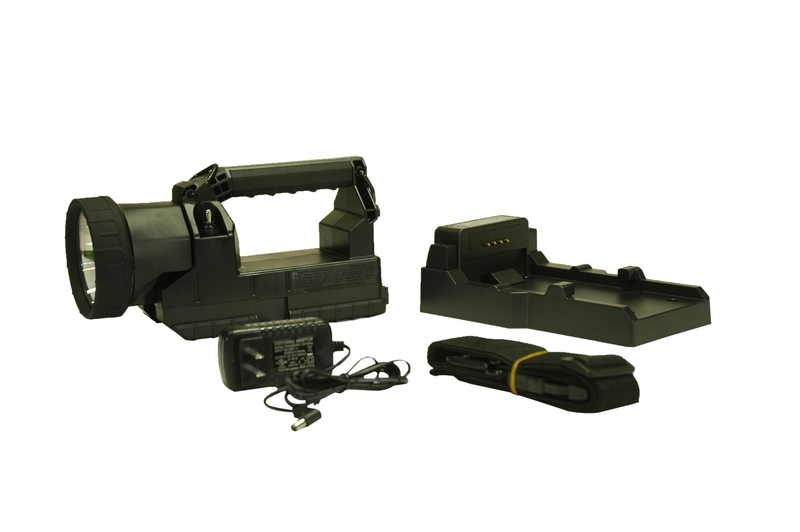 The Lithium-Ion, 6600mAH, 7.8V batteries in this unit are charged via an included 220/240V AC International Charger with 2 round prong plug.. See our RUL-9A for units suitable for standard U.S. 120 VAC use. Also available is an optional DC charger for 12V DC and 24V DC charging. This unit is charged in approximately 4.5 hours and has a runtime of 5 hours on a single charge. This light is waterproof and tested to 24 hours of submersion at 1 foot. The RUL-9 comes complete with a carrying strap for portability and your choice of either Orange or Yellow housing color. This light is Made in the USA and we offer a country of origin certification that is available upon request. This lamp also comes with a limited lifetime warranty so you can be assured of quality and service with your purchase of this unit. Narrow corridor street without any illumination. RUL-9A beam easily reaching 625` in length. 1. High Power Lamp- 264 Total Lumens 120,000 candlepower. 2. Heavy duty nylon housing with rubberzied coating. 3. Single beam or tandem light and flashing tail light operation. 6. 5 hour Runtime on single charge. 7. Class 1 Div 2, Class 2 Division 2 Approval. 8. Lithium Ion battery pack. 10. LED Battery status indicator light. 11. 90 Degree articulating head.